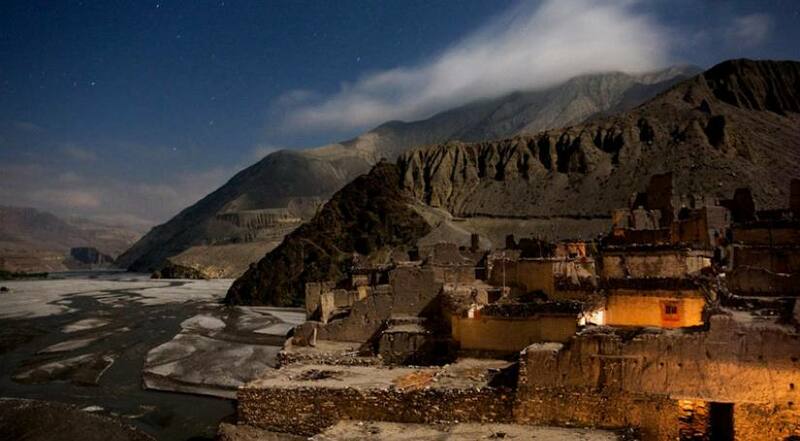 Mustang is a small and isolated kingdom which geographically, climatically and culturally belongs to Tibet but today it is a Nepalese district with a certain degree of autonomy. 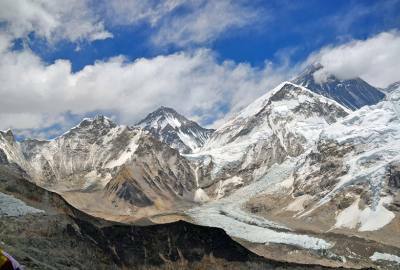 It occupies just over 3,000 square-kilometres with an average altitude of 4,000 m covered in snow. 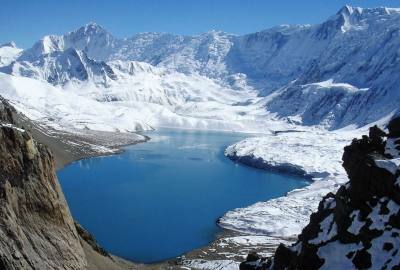 The Kali Gandaki originates here and flows out of the Mustang valley in a series of deep gorges. There is a significant nomadic pastoralist element in the lifestyle which has been dictated by the climate and the arid environment. The drying up of most of the trade saw Mustang retreat into its own remote shell and so was it known as the Lost Kingdom. Now, the principal economic activity is barley farming in small irrigated tracts near the rivers. This is complemented by yak, horse, mule and goat breeding and rearing. The major inhabitants of Mustang are Bhotias and Tibetans. Though there is a small number of Thakalis who are related to the middle hill group of Gurungs, Magars and Tamangs belonging to the south of Mustang district and they provide a bridge between the two largely geographically determined cultures. Mustang offers an endless expanse of yellow and Grey rolling hills, denudation by the wind, which is prevalent in this region. Crossing the lonely landscape with several passes, villages scattered unevenly as tiny green oasis nestled within the valley's only grove of trees or looming as fortresses preached on rocky crags, leads us to the spectacular walled town of Lo-Mangthang, home of the Mustang Raja (King). 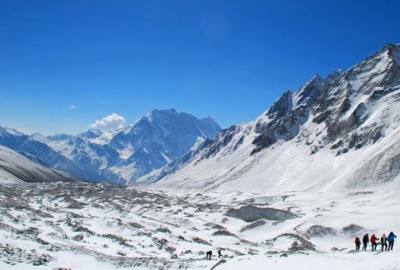 It is not a particularly high trek, but even in summer, the cold, dust and unrelenting afternoon winds can make the trek harsher than other treks in Nepal. 18 Final Departure or optional extension of tour. Celebration meal in authentic Nepalese cuisine.